Today I'm exploring the latter, particularly Sonos Speakers and how to manage them using Sonos Controller app for iOS. It hasn't been long since the idea of having music in each room of our house moved from the category of 'far-fetched' to 'common and widely used.' What has changed? We used to listen to headphones, but they would usually create particular inconveniences like, they could just fall when we'd crouch, or we could forget we had them on. A bunch of wires stretched across rooms is no good option either. But, the times have changed and due to the expansion and development of digital area listening to music at home has become much more mobile and convenient now that we have wireless speakers. It's finally possible to stream a song to many devices at the same time with no loss in quality. The market of speakers is increasing faster than ever, but within among all Hi-Fi speakers like BOSE, LG, JBL and alike, Sonos has always been and will remain the king of wireless HQ speakers. Sonos is an American company that develops and manufactures wireless home smart speakers. The primary emphasis is put on the quality and functionality. All Sonos devices work as a network, managed by Sonos Controller, an app available for all platforms. One chain of speakers can include up to 32 Sonos devices, but trust me, three speakers is enough to make your house full of music so that everybody listens to your music, whether they like it or not. Sonos Controller has full access to your local music library as well as to many streaming services, among which there are Deezer, Apple Music, SoundCloud, etc., but you still need to have a paid an account or a subscription to stream with Sonos Controller. What is there in Sonos Controller app? One word – easy. 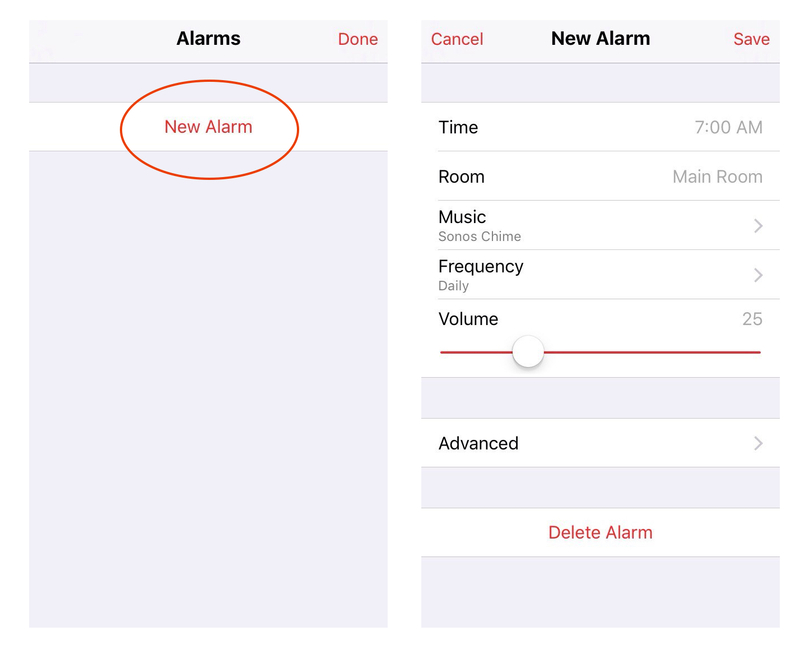 The app was once somewhat complicated when it came down to cross-speakers stream, but since the latest update, it's more of an intuitive control which makes the app simple to use. In the top right corner, there's 'Rooms' tab. It contains a list of all connected Sonos speakers. I have only one Sonos Play:3 myself, but it's enough to throw a party or make your district acquainted with your music tastes. You can name each speaker as you wish, like, 'Kitchen' or 'Bedroom' for corresponding rooms. Now try to imagine there's a Sonos in each of them. 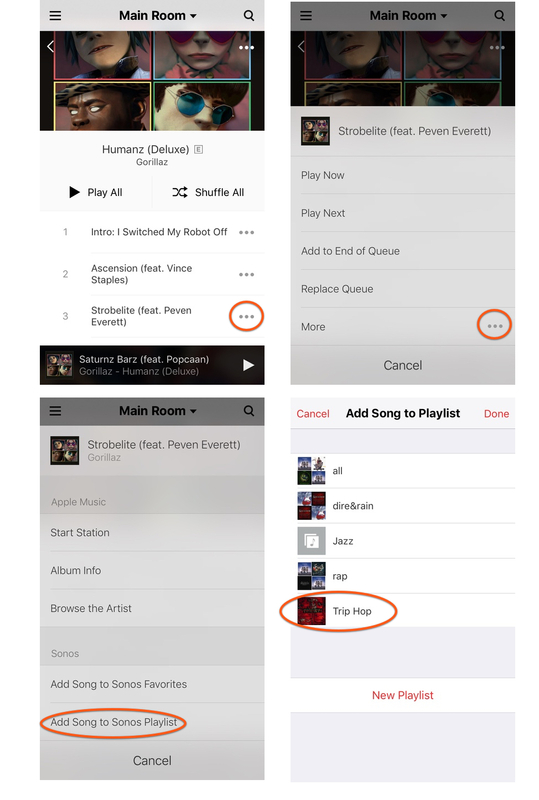 Providing you set a playlist for each of them, it will make a unique atmosphere allowing you to reach 'flow' when you go from one room to another. With Sonos Controller, you can manage your speakers separately or join them as a link to play either same or different music by just a few taps in the app. Rather well-thought-out system, isn't it? Mind that there's always a playback bar, so you can stop or resume a song whenever necessary. If you tap this bar, it will take you to the main player page. It looks so familiar, we've seen millions of them. Play, pause, skip, add to favorite, shuffle and many many more options. When you tap ≡, you see your favorites, playlists, local library, radio and available streaming services. 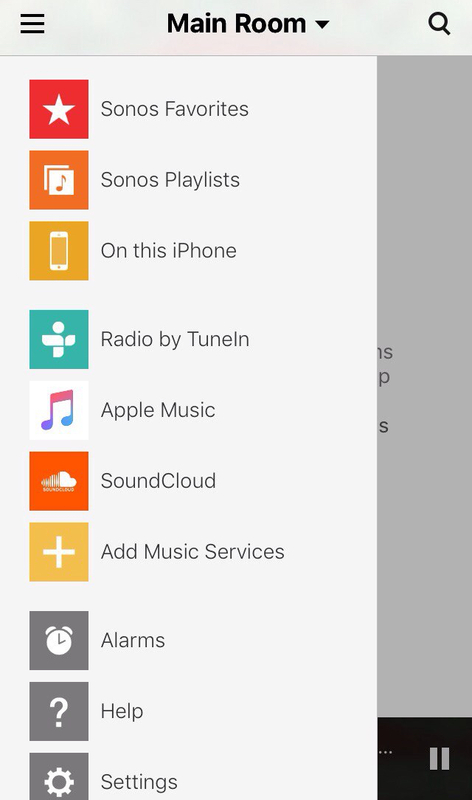 Regarding the latter, you must first tap 'Add music services,' then choose the one you have, login and after that, you can stream music from any service to your Sonos speakers. Simple as that. 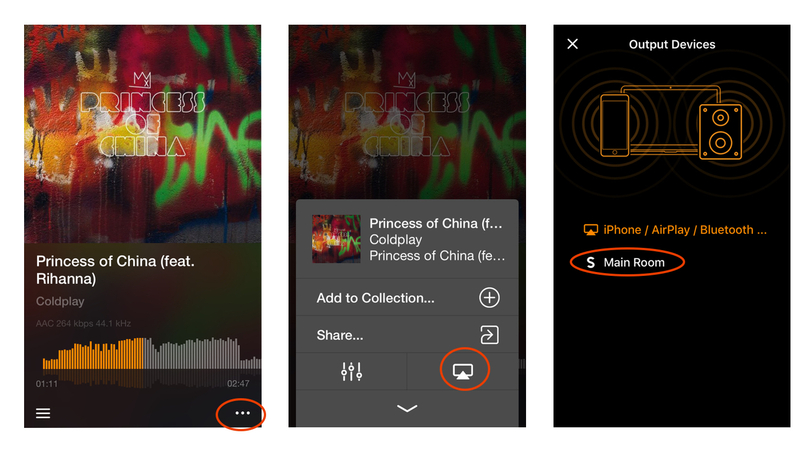 Note, that some services like SoundCloud, are a bit different regarding details when used with Sonos Controller. When you've added all the services, you are welcome to enjoy your favorite music and playlists with your Sonos speakers. Sadly, Sonos has stopped supporting Spotify. However, you can listen to your Spotify if you choose a corresponding output in Spotify app. Playlists is something that singles out Sonos Controller among other apps for smart speakers. The key reason why is because when you search for a song, it gives you results from all the connected services. It means that if you can't find a song of Deezer, but sure you can have it from Apple Music, or more likely from SoundCloud. Tap Playlists, and you'll see all available playlists. Imagine, you want to make a compilation of old-school hip-hops tracks from the 90s', including well-known artists like Public Enemy as well as some underground ones, like J-Rock. Remember, that Sonos Controller searches all services available. Here a step-by-step-instructions for iOS devices. 4. Add Song to Sonos Playlist. 5. Choose a playlist or create a new one. This feature excludes the need to download additional apps. I'm certain we all love the first thing we hear in the morning to be some positive and full-of-energy track. Much better than default beeps. Sonos makes our dreams come true, using its Alarm option. Set the time, pick a song and a Sonos speaker in your bedroom. Waking up to Hi-Res sound from a powerful speaker makes your day. If what you appreciate a lot is quality, then Sonos speaker is a perfect choice to experience the highest-quality sound. The only problem is that Sonos Controller can't play Hi-Res music because the stream from Apple Music or SoundCloud is usually MP3 at 128-256 kbps. I'm pretty sure my solution will be to your liking. Lossy and Lossless format support. No conversion or compression. Only original sound. Sync music libraries on iPhone and Mac. Unlimited cloud storage – VOX Cloud. Integration with your Spotify, SoundCloud and Last.fm accounts. There's one more feature that solves the issue with big-size Hi-Res files. Usually, such tracks are 50-100 MB, which makes it difficult to store them on iPhone. For that reason, VOX developers designed an unlimited music cloud called VOX Cloud (formerly LOOP Unlimited Music Cloud Storage). It an online music locker that stores all your music thus excludes the need of using external HDDs, or paying for music cloud with limited space and support of few music formats. With VOX Cloud (part of VOX Premium you won't need to bother what do to with your music collection. Just upload everything you have to the cloud and enjoy it on Mac and iPhone. Whatever you upload to VOX Cloud is available on both devices. As you see, Sonos is most certainly the best audio solution for home thanks to its quality of the produced sound, and functional and easy-to-use Sonos Controller app. With this app, managing smart speakers becomes incredibly simple and convenient. 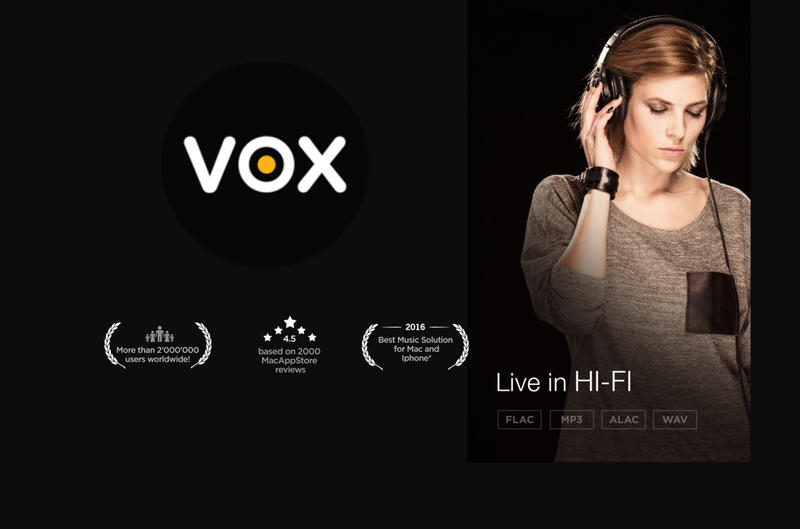 To experience everything that Sonos has to offer, try VOX Music Player for Hi-Res music. VOX and Sonos make an exceptional blend of high-quality sound and true music experience.